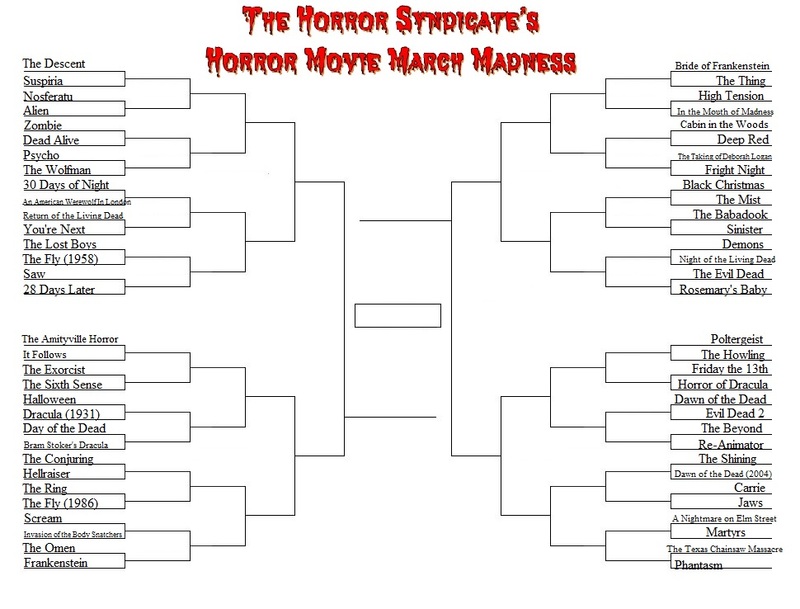 We have been doing some form of March Madness over at Horror Movie Massacre, a group on Facebook. We would make up brackets per decade or best Jason Voorhees kills. They are a lot of fun and you get to vote for your favorite, in this case, horror film. The bracket has been broken down to 64 movies and they were all pulled from our Top 100 Horror movies of all-time. To be a part of this tournament, just go to our Facebook page and vote, starting tomorrow, March 1st. It is March Madness and it will run the entire month. 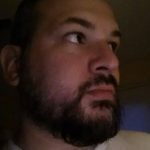 There will be off days, but we start with eight match-ups per day, so Like and Follow the Facebook page or simply join Horror Movie Massacre group. Here is a look at the bracket, print it, fill it out and see how close you come.